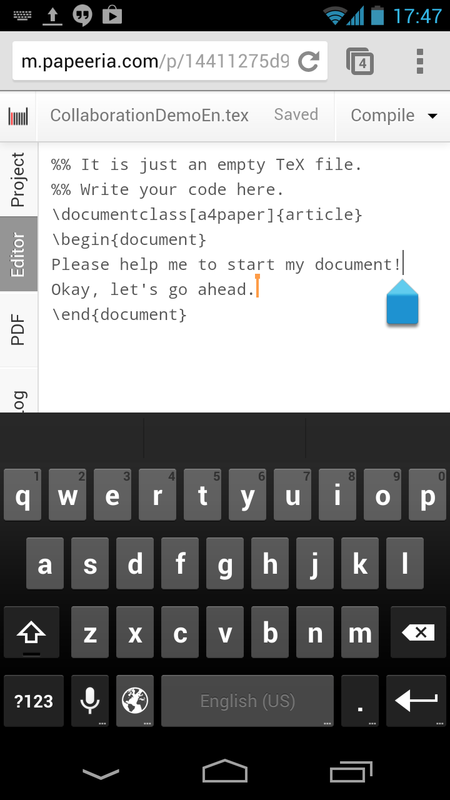 Papeeria Mobile users do not block files for writing anymore. They see other collaborator's carets and receive their updates. 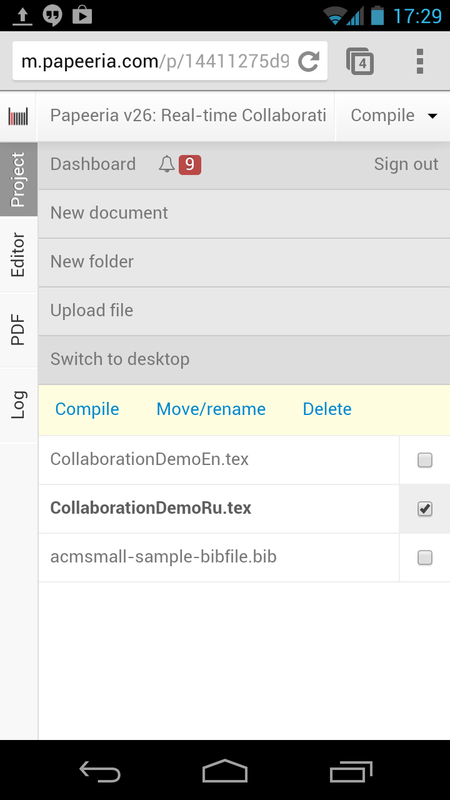 In order to keep text readable on small screens, we do not show (yet) the names of other collaborators in mobile editor.